All horses are handled daily. Inoculations, deworming, dentistry and farrier work is up to date. All horses have current passports. All young horses are halter trained and all horses over 3 years old are backed and are riding horses. Uniquine McNiteFrost, d.o.b. 26/11/2016, smokey black tobiano colt. This colt is stallion quality. Reining and cutting bred with an exceptional temperament like his dam. Friendly, super intelligent, great movement and sure to be an absolute show stopper in the arena. 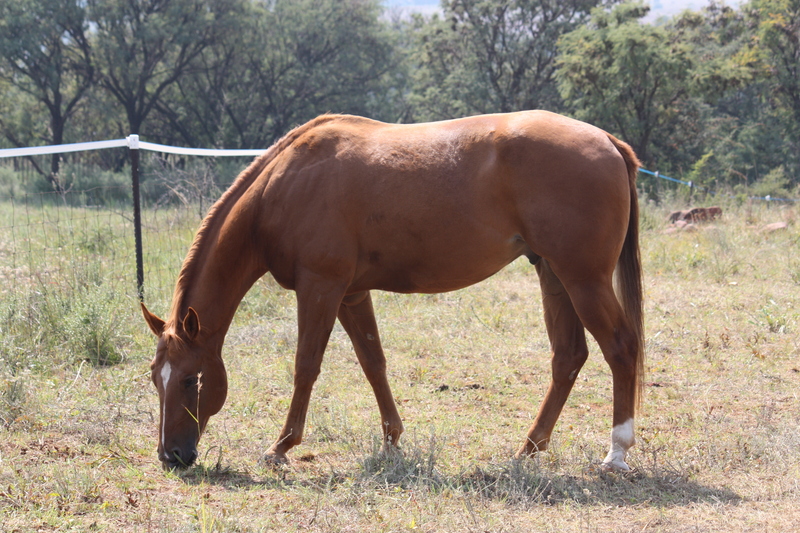 Breeding: Amarillo Poco EazyMcQ (APHA) x CalVal Pardon My Dust (AQHA). Retained. Uniquine McEasyStreke, d.o.b. 04/12/2016, bright bay tobiano colt. 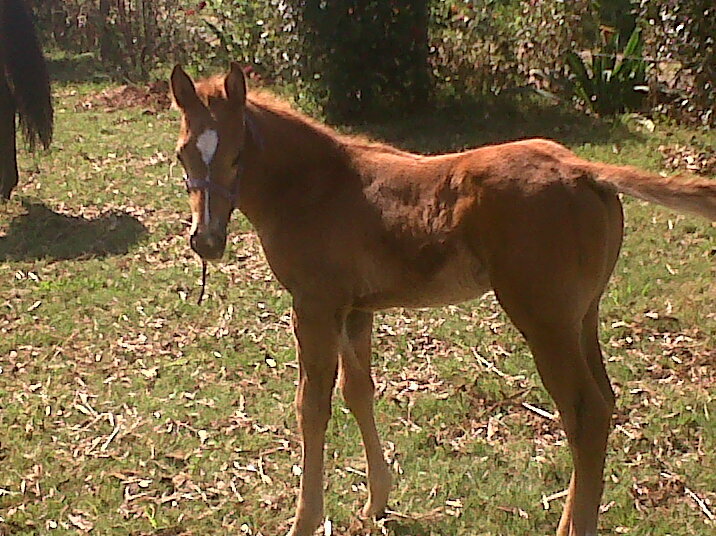 This eye catching colt is reining and cutting bred and very athletic. Amarillo Poco EazyMcQ (APHA) x NJQ Painted Lady Lena (APHA - A Painted Smart Olena (APHA, IMP Germany) x Precious Jessie (AQHA, IMP USA). For Sale. Uniquine McNificent, d.o.b. 06/11/2015, dark bay tobiano filly. 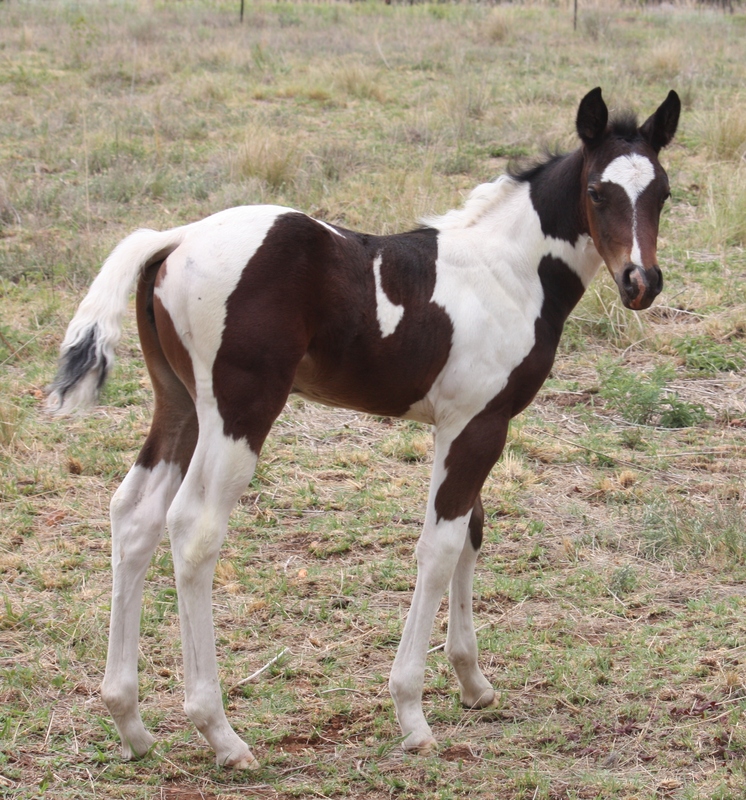 This is the first and only 2015 foal from our APHA stud stallion McQ. This filly is bred from reining and cutting lines and was doing flying changes and cutting chickens at 6 days old. Very people friendly and intelligent filly. 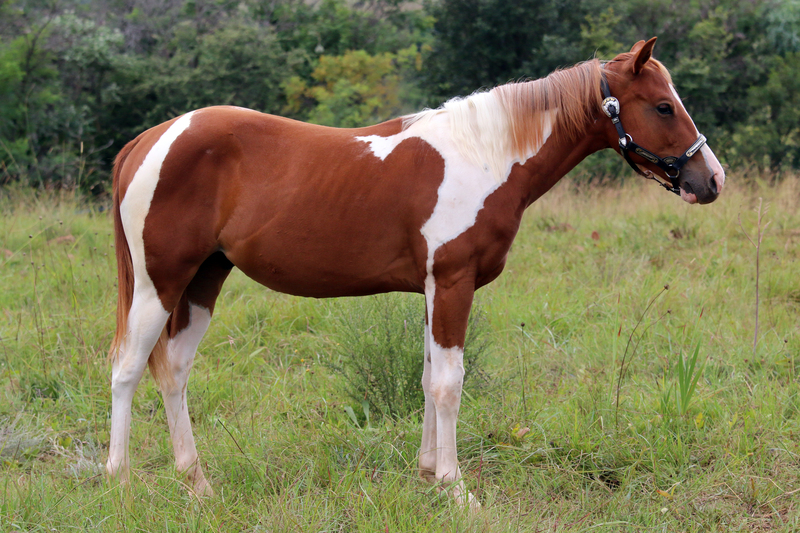 Breeding Amarillo Poco EazyMcQ (APHA) x Bronco Ltd Edition Delila (QH). Sold. Uniquines Cactus Jack, d.o.b. 03/11/2009, Bay, turning gray Quarter horse gelding. He is very athletic and will mature to 15H. He has a calm temparement, is halter trained and stands for farrier. He has been gelded on 06/07/2011. Sire: Murnels Athol Murray and Dam: Bronco Smart Spark (see photo under photo gallery - Uniquine). He is currently being trained and started saddle. His training will continue until sold. Sold. Uniquine McSweetSpot, d.o.b. 26/08/2017 our last McQ live cover foal. A tall and leggy filly tested 6 panel N/N, homozygous tobiano, homozygous black and Nd1/Nd2 having dun characterictics but no dun. Retained as future brood mare. Uniquine McEasyStreke, d.o.b. 04/12/2016. 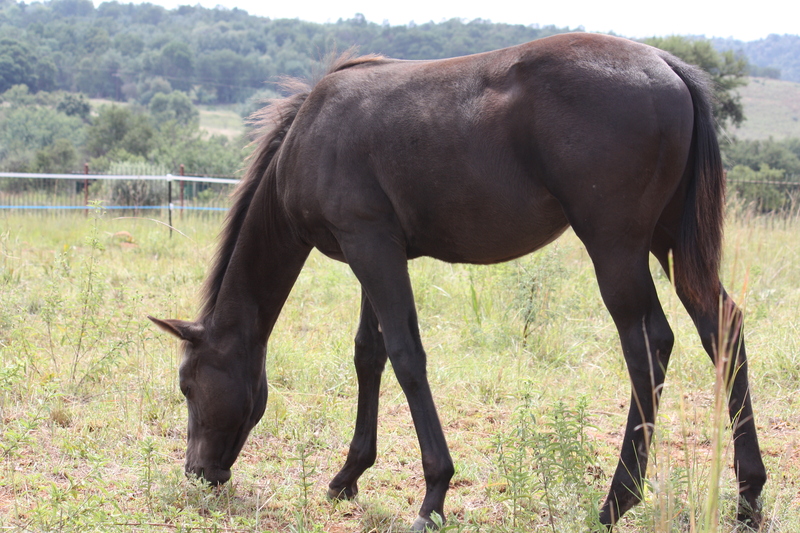 This bright bay colt is reining and cutting bred and very athletic. He will make a great western riding horse. He is 6 panel N/N. 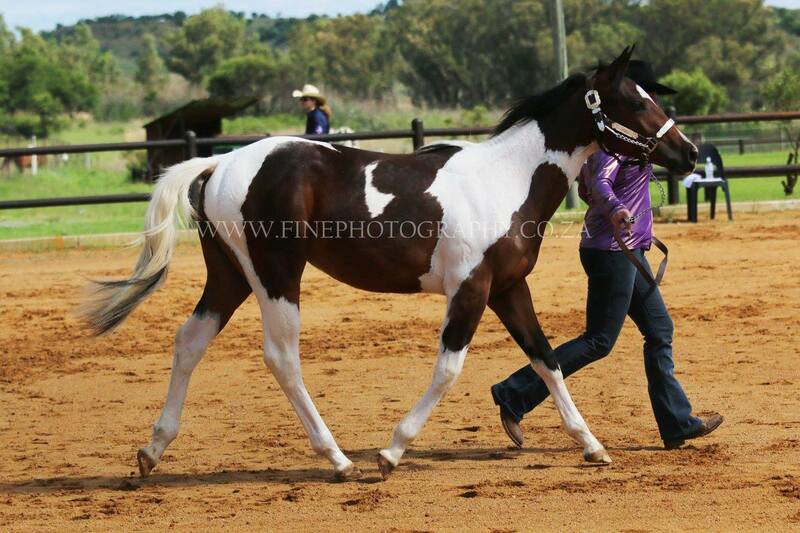 Breeding Amarillo Poco EazyMcQ (APHA) x NJQ Painted Lady Lena (APHA). For sale. Uniquine McWin A Lot, d.o.b. 01/11/2016, chestnut tobiano filly. She is 6 panel N/N. 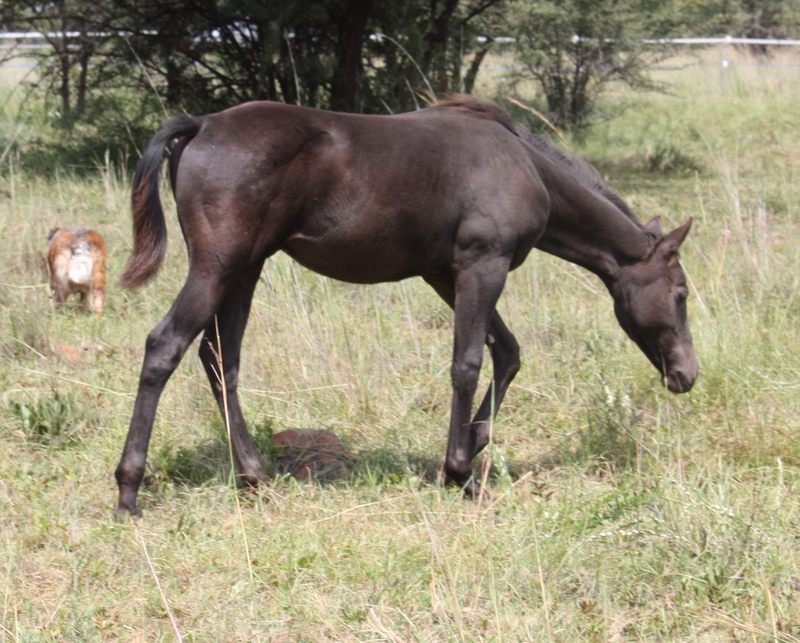 This very correct filly is reining and cutting bred.She has superb movement and will make a great perfomance horse. Breeding Amarillo Poco EazyMcQ (APHA) x Mountneys Alotto Lena (APHA). For sale. Uniquine McNiteFrost, d.o.b. 26/11/2016. This black tobiano colt has an exceptional temperament like his dam. He is reining and cutting bred and is sure to be an absolute show stopper in the show arena. Breeding: Amarillo Poco EazyMcQ (APHA) x CalVal Pardon My Dust (AQHA). Retained as future stud stallion. Uniquine McRoyalFlush, d.o.b. 08/11/2016, chestnut tobiano filly. 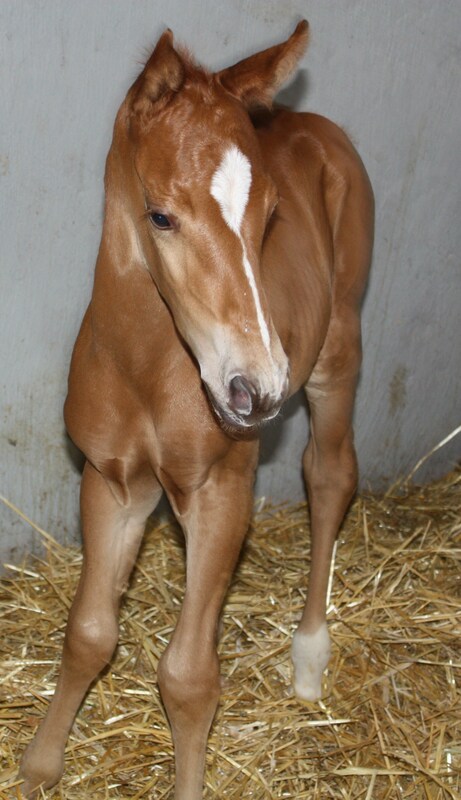 This filly has movement, breeding, beauty and that undeniable WOW factor. She will definately stand out in the show arena. She has great movement and a fantastic fun and very confident personality. She is firmly in charge of all of her siblings and will go and visit them with their dams to play and only go looking for her dam when it is time for a drink. 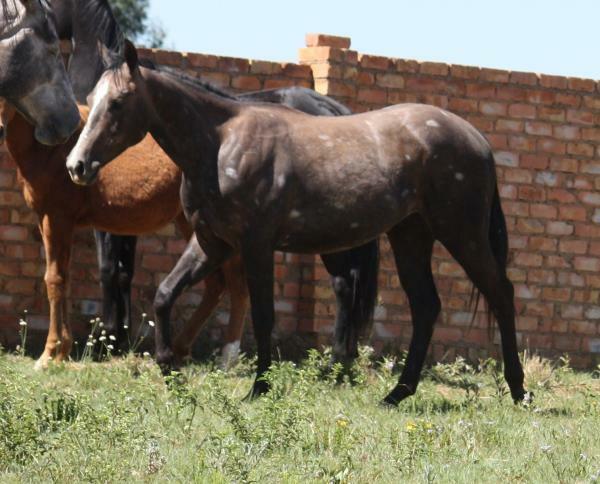 Breeding: Amarillo Poco EazyMcQ (APHA) x Bronco Ltd Edition Delila (AQHA). Uniquine Gun For Hire, d.o.b 11/11/2015. Sorrel tobiano gelding. Reining and cutting bred with loads of natural talent and great movement. He is being started for riding and has a great mind. Breeding: TopsailGun (AQHA, Imp France) x NJQ Painted Lady Lena (APHA - A Painted Smart Olena (APHA, Imp Germany) x Precious Jessie (AQHA, Imp USA). This outstanding gelding has the potential to be a top show horse. Sold. Uniquine McNificent, d.o.b. 06/11/2015. Amarillo Poco EazyMcQ (APHA) x Bronco Ltd Edition Delila (QH). This is our stud stallion's one and only foal for 2015. She was doing flying changes and cutting chickens at 6 days old. She is reining and cutting bred. Sold. Uniquine Peacemaker d.o.b. 25/02/2011. Breeding: Tiaan's Topgun x Amarillo Doc Jubyleo (by Dillions JB Lynx, Imp USA). Gelded and retained as riding horse.